At lunch, you’ll find this city’s salary men and women here for their version of a quick, cheap and filling meal. Comfort food at its best in my opinion. 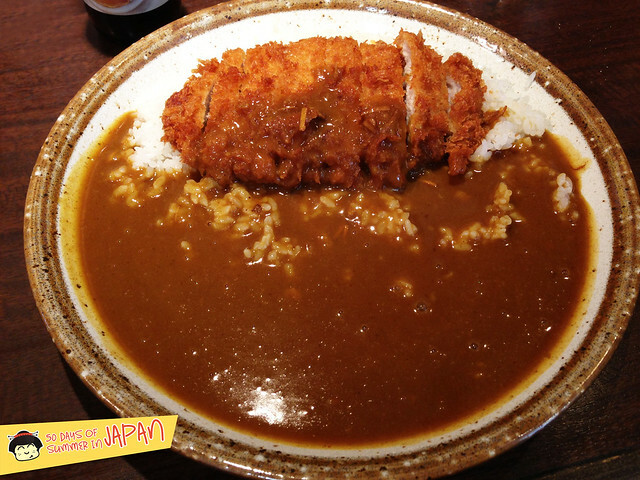 Curry is poured on practically anything. From fried vegetables to egg omelet and beef. 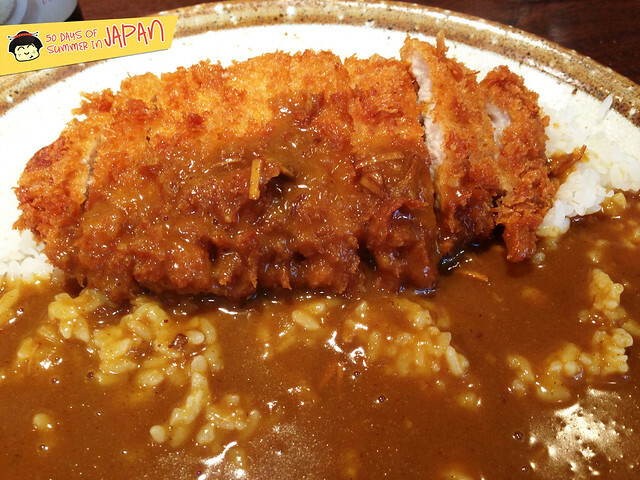 As for me, I’m a katsu curry (fried pork cutlet with curry) fan. I usually “splurge” and go for their Black Pig – Kagoshima Kurobuta. This plate of beauty was about $13. Probably big enough for 2 meals with all that rice, but I licked my plate clean. The pork is juicy and full of flavor. The coating is light, fried to a perfect golden brown. 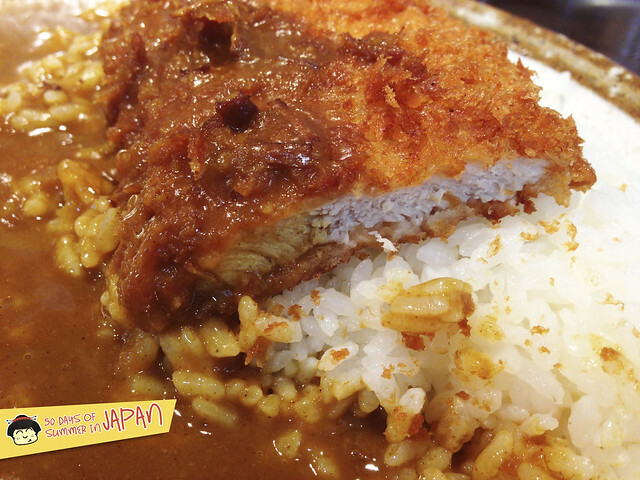 Crispy exterior on one end and the other is coated with the syrup like curry. 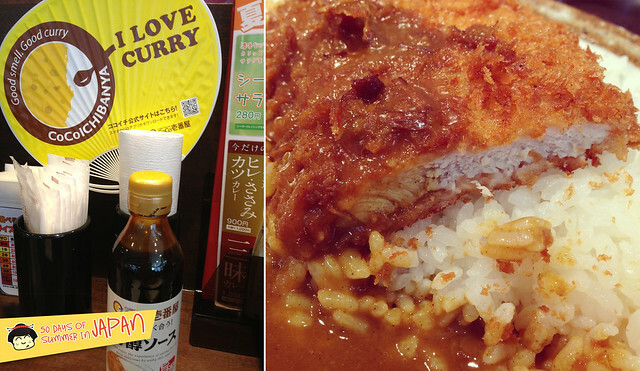 Their curry is definitely on a sweet side. Bursts of cinnamon and nutmeg along with a medley of spices. All over pipping hot, plump and shiny white rice. Japanese rice is unlike any other and I’ve must of eaten my whole year’s worth in my short stay here. The sweet pickles on the table are unlimited. I take that to heart and load up on them – as my vegetable counterpart to this hearty meal. Curry House CoCo has franchises in the West Coast, which I’ve never tried. But the one in Shanghai tasted nothing like Japan. The quality of the pork, rice and sauce was totally off. 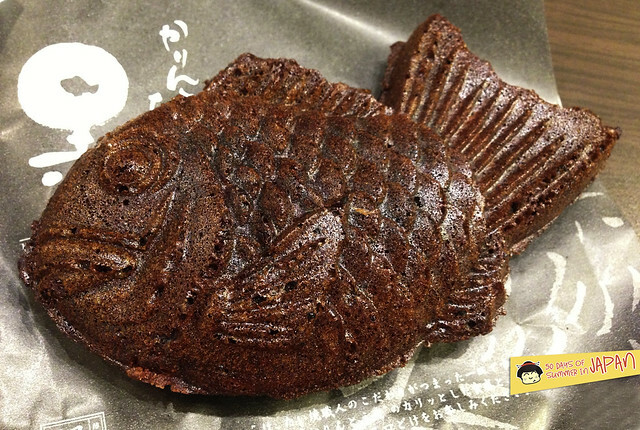 Ginnoan Taiyaki has locations all over Japan. A few in Tokyo. 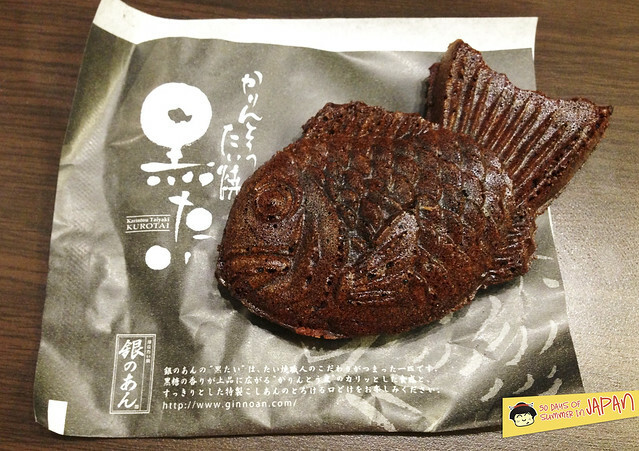 Taiyaki is like a cross between pancakes and thin crisp cookies, usually filled with red bean paste or custard. Ginnoan makes their sea beams with traditional and non-traditional fillings like mochi, nuts and seasonal fruits. I like them all, but my favorite is their Black Taiyaki. The exterior has a really nutty/oats flavor mixed with burnt sugar aromas. It’s thin and extra crispy around the edges, which I love. A lot of places make it too doughy. 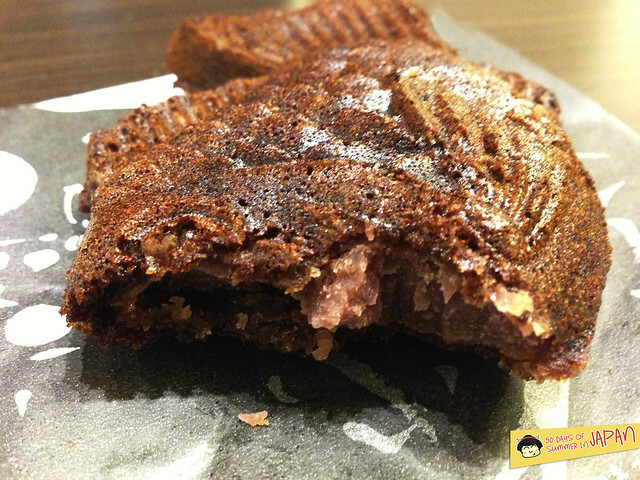 A chunky sweet red bean paste inside, filled end to end very generously. Not overly sweet. Love can be so simple. Best when hot of course, but I usually get a couple and toast them up the next day.